The penetration of mobile devices in the US continues to grow steadily year-on-year. According to Pew Research, 88% of adults living in the United States use the internet and 77% own a smartphone. It goes without saying that mobile devices and the technologies they offer have an increasing influence on consumer behaviour. Official Google statistics inform us that over 50% of global searches are performed on mobile devices and ComScore reveal that mobile apps account for 57% of all digital media usage in the US. The majority of mobile searches are in the food & beverage sector, followed closely by health, sports, news, lifestyle and retail. 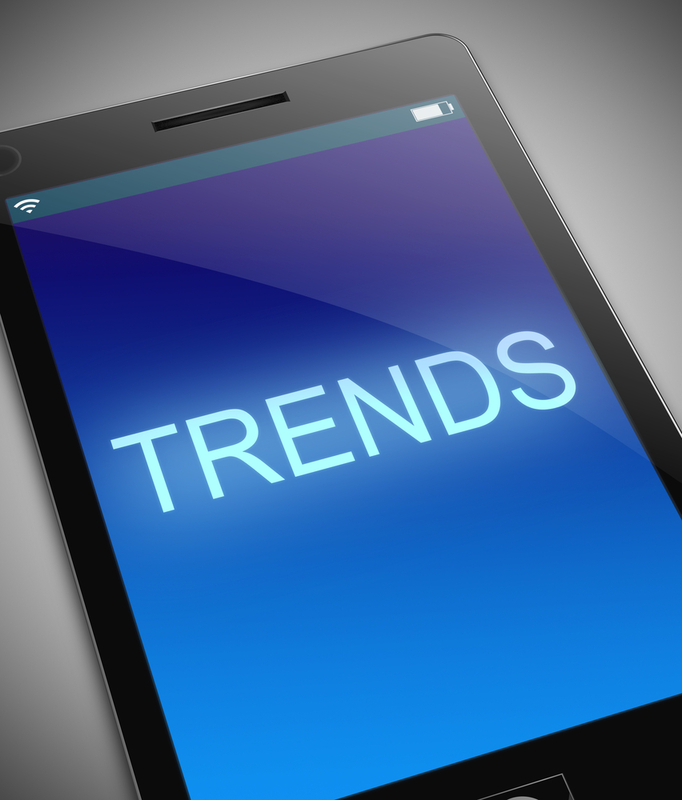 As new mobile technologies continue to emerge, we take a look at emerging trends brands should be adopting to gain an advantage in the market. There is little doubt that brands are being challenged to improve the customer experience on mobile. For many years the solution was to build client-facing apps. However, mobile apps can be expensive to build and most fall into the dormant or deleted pile and hover aimlessly in the cloud. Developers hit on a solution that enable brands to replace native mobile apps with a mobile-friendly website/app. Codenamed Progressive Web Apps (PWA), this new technology enables developers to build dynamic, fast-loading apps without users having to download native apps. In essence, PWA’s are a cross-breed between an app and a website. Installing a PWA takes a matter of seconds. All users need to do is click on the ‘Add to Homescreen’ option. All brands have to do is tell customers the option is available. Shooting out a quick SMS is the most effective method. Experts predict PWA’s are the next big thing for mobile marketing. By 2020, web apps will have replaced general-purpose apps altogether. Marketers that take advantage of these technologies can create a broader scope of useful content your customers can’t be without. For example, supermarkets and food resellers can text customers a recipe and offer promotional discounts on the ingredients. They can also have affiliate deals with local restaurants where shoppers can trial the dish and find inspiration of how to cook it. And all within a few clicks. Google has been trialling a Mobile-First Index (MFI) for a year now and in January 2018 announced they will roll the initiative out on a global scale. MFI is the next step in the evolution of search and will force marketers to mature their mobile strategies. The concept of mobile-first indexing is exactly what it sounds like; Google will rank the performance of your website in relation to the experience you provide end-users visiting your website on a mobile device. Marketers should be creating content that is suitable for mobile consumption. Linking mobile content in SMS marketing messages helps to drive traffic, particularly when texts have a personal touch. A study published by Aberdeen revealed personalised messages receive, on average, 14% more click-throughs and conversions have an uplift of 10%. According to research, 96 percent of users reach for their smartphones to find solutions for these micro moments. And the first place internet users turn to is a search engine. According to statistics, people are twice as likely to search for micro moments than visit a store or social media platform. Marketers can’t get into the mind’s of consumers in the very moment, but you can prepare content that answers these questions and send reminders that prompt actions. Advanced data analytics that reveal keywords and consumer behaviour when visiting your store can help you shape mobile marketing campaigns to target the four critical moments. Digital media is increasingly integrating into offline forums, and text messaging is the bridge that makes it easier for brands to reach customers. Sending coupons and QR codes is nothing new, but experts predict trends in 2018 will migrate towards more geolocation-based marketing and augmented reality (AR) to create a stronger in-person experience. For example, people that attend a live sporting or cultural event such as museums or theatres can be given a richer experience by incorporating sophisticated mobile technologies to create interactive experiences sponsored by brands. Mobile provides marketers with multiple opportunities to reach consumers, and SMS is the best channel to inform ticket-holders about the extra-curricular activities. Create a buzz before the event, provide instructions and reminders, raise curiosity; whatever you can imagine you can implement. Experts predict that around 80% of all web traffic will be video by 2019. In the last few years, live streaming has been thrown into the mix and is already making a significant impact. Social media giants Facebook, Twitter and YouTube have all been instrumental in propelling live streaming in the mainstream and statistics reveal consumers want more. Whilst live streaming can perform wonders for brand awareness, credibility and conversions, your audience needs to know when you will be broadcasting and where they can watch. Given that around 90% of SMS messages are opened in the first 15-minutes, texting is more powerful than any TV guide. The mobile revolution is full steam ahead and with new trends emerging in 2018 will be firing on all cylinders by 2020. Yet despite all this new technology that creates mobile experiences, brands still need the trusty old SMS to let people know what’s happening.